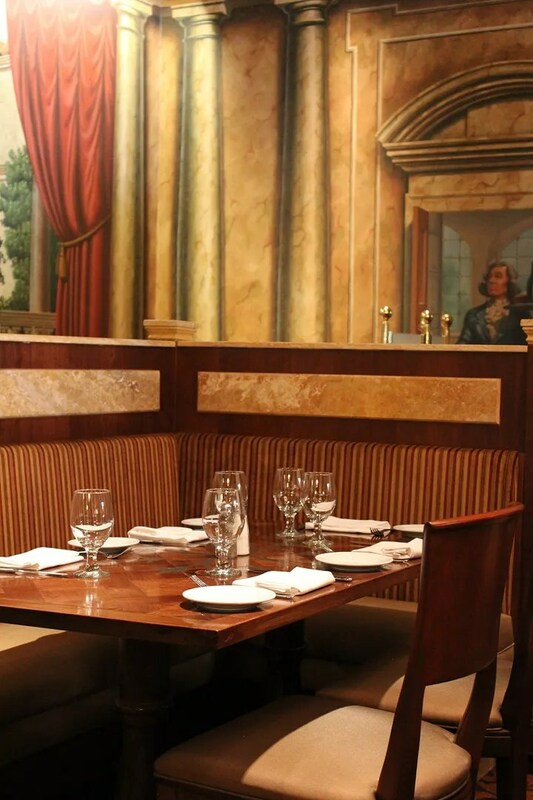 BACKGROUND: My family had twice dined at Tutto Italia since it opened in 2007. 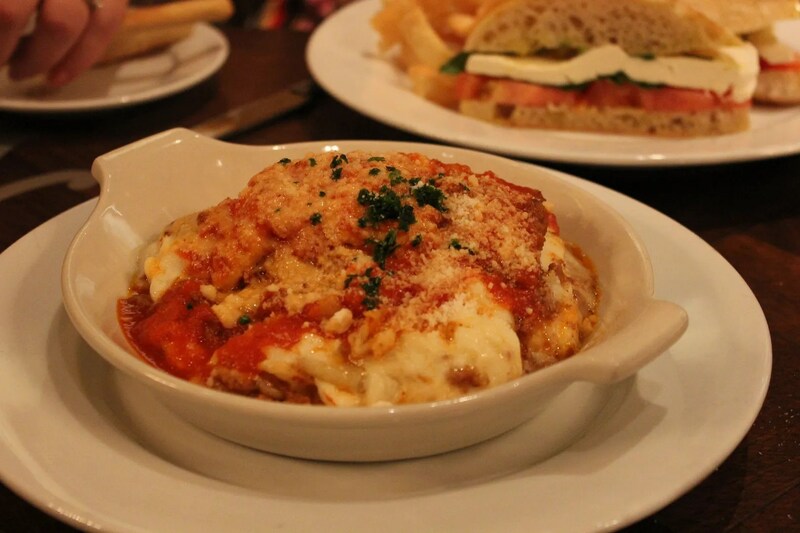 The first time, the food was not very good (except for the lasagna) but the service was fine. The second time (March 2010), the food was a little better but the service was terrible. Consequently, we were in no great hurry to return. 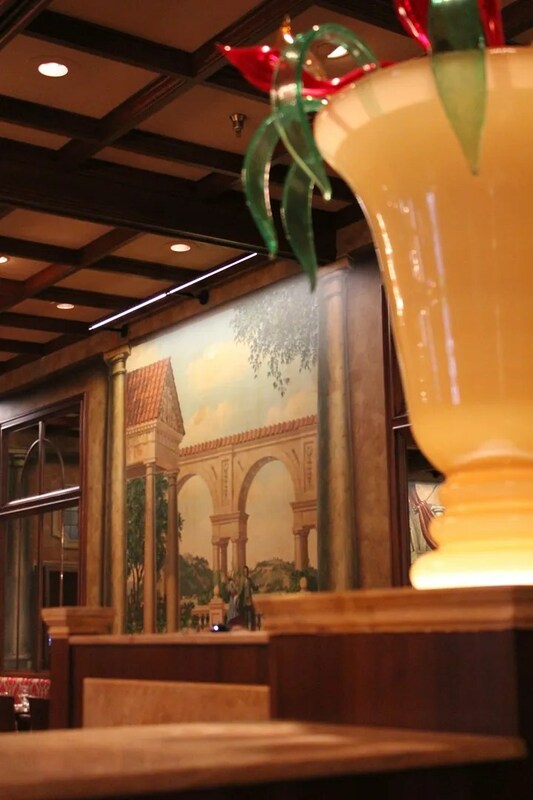 But then I heard that they would be re-opening with a new menu in early May, after undergoing a nearly 4 month long renovation. After much thought, I decided that this might be the best time to give Tutto Italia another try. During this Grand Reopening  time, they would surely want to put their very best foot forward, right??? Upon check-in for our 12:00 reservation, we were immediately taken to a booth in the main dining room of the restaurant. I was happy to be seated at a booth, as it seemed more private than the regular tables. We spent the next few minutes looking around to see what might have been changed during the renovations. Other than the replacement of some regular tables by booth-type seating, we did not notice any other significant changes. 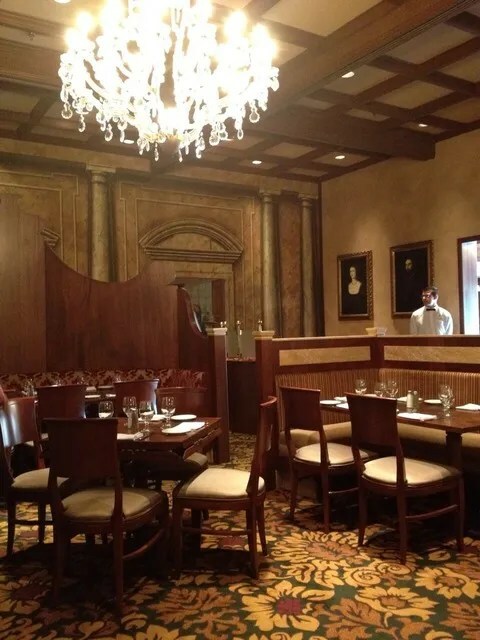 The paintings and murals remained on the walls, the chandeliers still hung from the ceiling, the chairs and regular tables seemed to be the same, and even the carpeting appeared to be unchanged (didnt look to be brand new). However, since it has been more than two years since our last visit, we could very well be wrong. 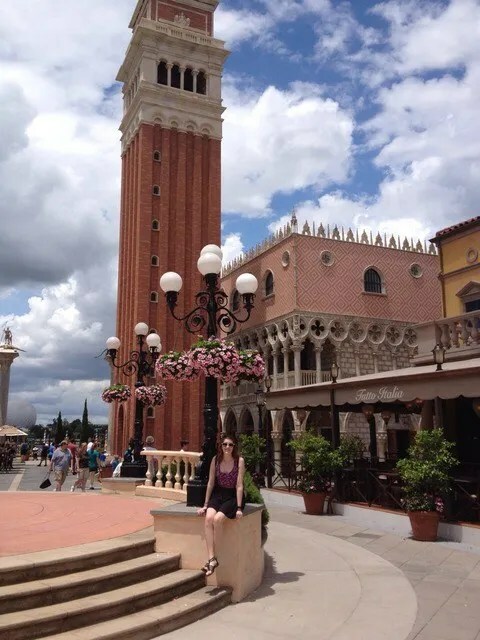 So I’ve included a few pictures that I took and perhaps those of you who have a better memory and/or have been to Tutto Italia more recently can either confirm or dispute our observations. 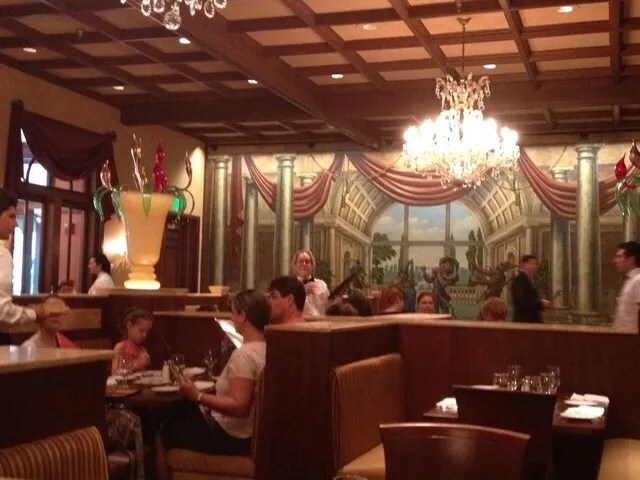 Something I did notice that I think might be new are the very large colored glass vases and flowers. These appeared to be Murano glass and I thought they were quite pretty. 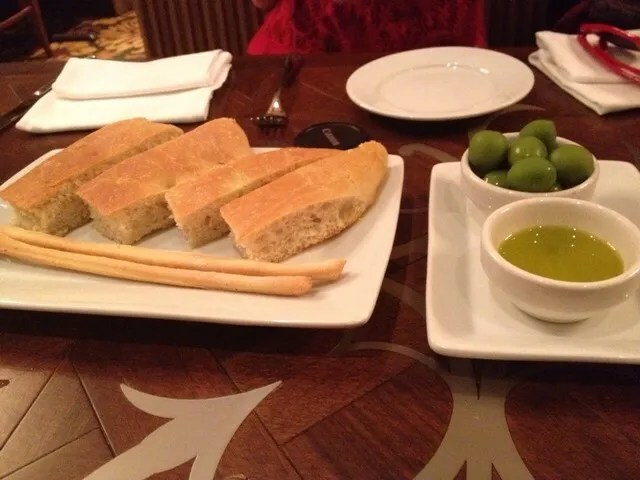 We were first brought glasses of water and their complimentary bread service, both of which we would have had to pay for if we were in an actual Italian restaurant…something which surprised us while dining in Italy. Allison really liked the hard bread sticks, and Emily and I preferred the soft ones. None of us really cared for their olive oil or the olives, as they had pits. It might just be me, but I find it uncomfortable (perhaps even a little gross) to have to spit out olive pits while dining at a nice restaurant. So if this is also an issue for you, then stay clear of these olives. 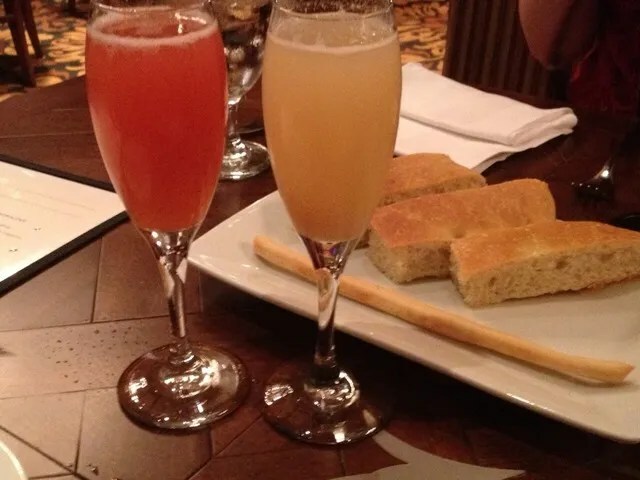 Allison and I started by ordering a cocktail, a Bellini for me and a Rossini for her, and both were rated as Good. If I were to rate these based on taste only, I would have given the fried zucchini a Very Good rating as they were quite tasty. But given their rather high price tag ($12, or $4 per piece) and lackluster presentation, I had to lower their rating to just Good. Although Emily disliked these (so much so that she gave them her first and possibly only Captain Hook Bad rating), Allison agreed with my assessment. 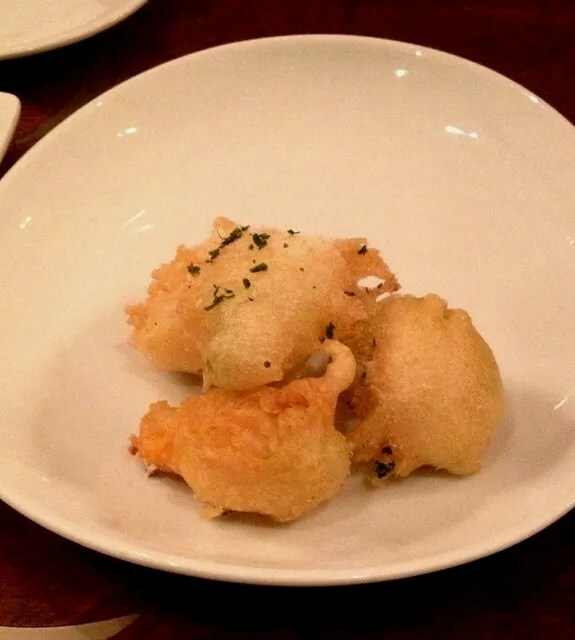 So with two against one, the Fried Zucchini was given an overall rating of Good. Also, in case you were wondering, Emily does not like either zucchini or anything lemon-flavored (the lemon flavor was not overwhelming but could be tasted), so I wasn’t at all surprised that she didn’t care for these. 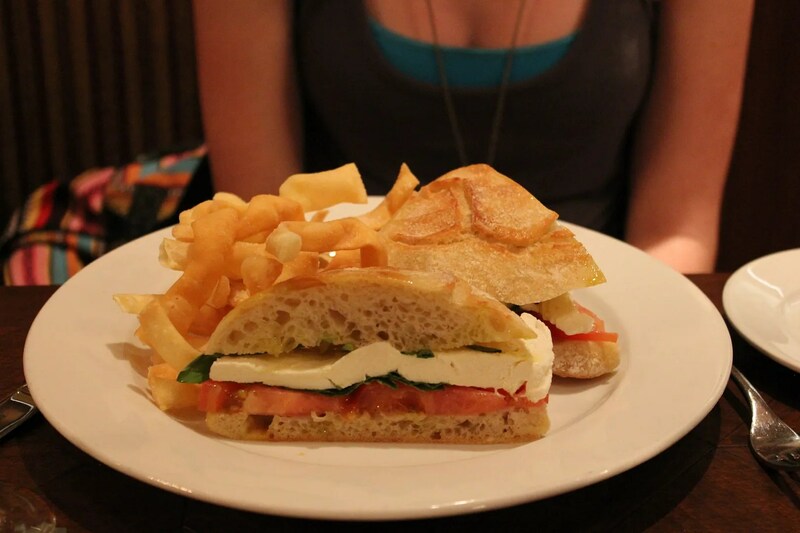 Ever since our trip to Italy when she discovered her love for the combination of tomatoes, fresh mozzarella cheese, and basil (aka the Caprese salad), she has jumped at the chance to have it again whenever the opportunity arises. Therefore, I was pretty sure that she would order this and would very much enjoy it. However, she actually didn’t like it as much as I thought she would and gave it only a Good rating. I think perhaps the tomatoes weren’t quite as ripe as she likes them and therefore lacked the delicious flavor of a fully-ripened, fresh tomato. Also I should note that we both really liked the “crisps” (not really sure what these are called) that were served with her panini. They kind of reminded me of the fried wonton strips that are sometimes served on Asian salads. Anyway, they were quite yummy and a nice change from the usual sides of potato chips or french fries that you get with sandwiches. Lasagna alla Bolognese – Traditional preparation with Emilia-Romagna (a region in Northern Italy) beef sauce (aka Bolognese sauce), béchamel (a creamy white sauce), and parmesan cheese. 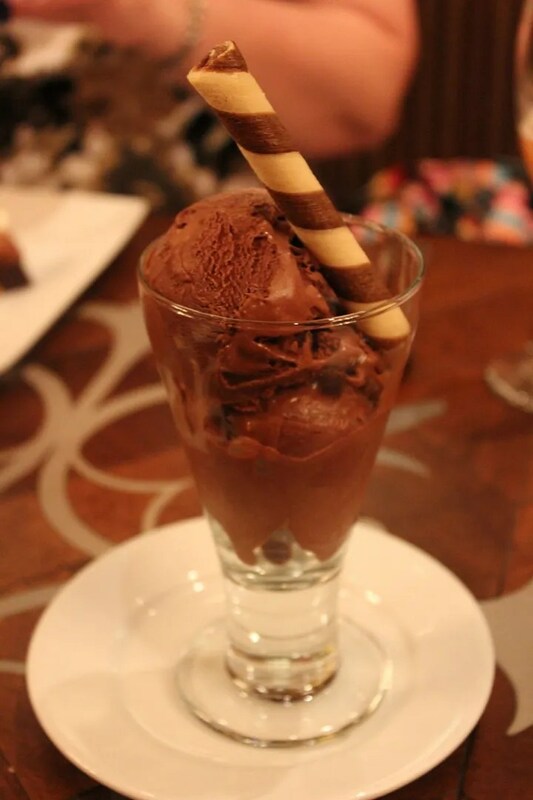 Doesn’t this look delicious? Well, the Nutella and sweet cream toppings were in fact pretty tasty, but not quite tasty enough to make up for the cake (and I believe they use that term loosely in this case) that lay underneath. The texture of this cake is actually more like a rather dry, dense brownie with nuts. So I guess if you like your “cake” dry and somewhat crunchy, then this is the dessert for you. But for us this was very disappointing, especially considering its rather high price of $12. 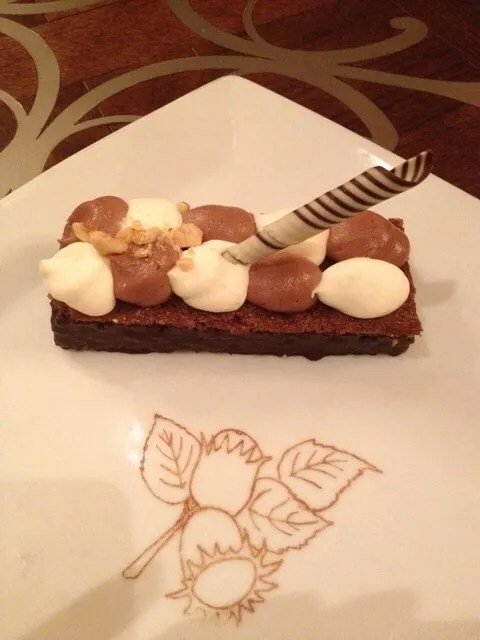 Now to be fair, I should tell you that I have since seen some very favorable reviews of this dessert (including one by our very own Disboards Dining Reporter, DonaldDoleWhip), so I guess this goes to show that everyones tastes are different. With that in mind, my advice is that if you are curious about this unusual dessert then you should try it and decide for yourself if it is a magical Tinkerbell or a nasty Captain Hook. 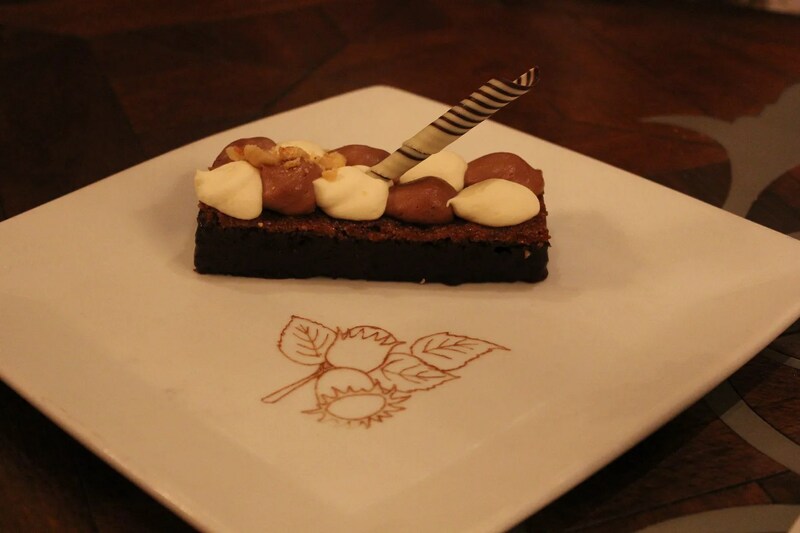 Oh, and FYI, this dessert is also available at the new Italian Wine Bar, Tutto Gusto. 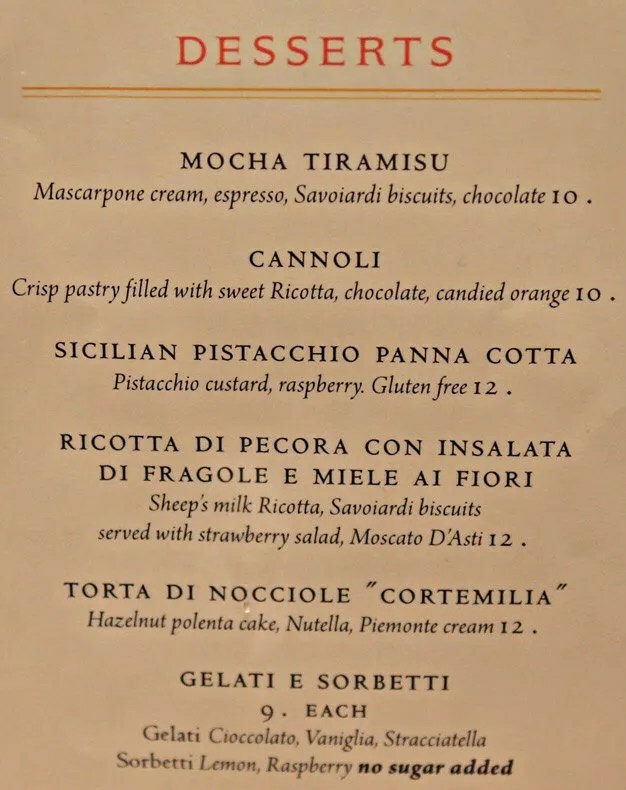 Tip from DonaldDoleWhip: Donald paid only $8 for this dessert at Tutto Gusto. But hey, I bet his didn’t have that lovely design printed on the plate. So now I’m thinking that I need to add a new Peter Pan character to my rating system just for this $12 dessert. Can anyone think of anyone worse than Captain Hook??? And oddly enough, the girl who had previously never met a gelato she didnt like was not really a fan of this one, giving it just an Okay rating. But considering the price of $9, I feel this gelato should have tasted better than just okay so I’m giving it the Hook. Although DD2 and I really like the lasagna here, I don’t feel that that’s enough to warrant a return visit to Tutto Italia anytime in the near future. 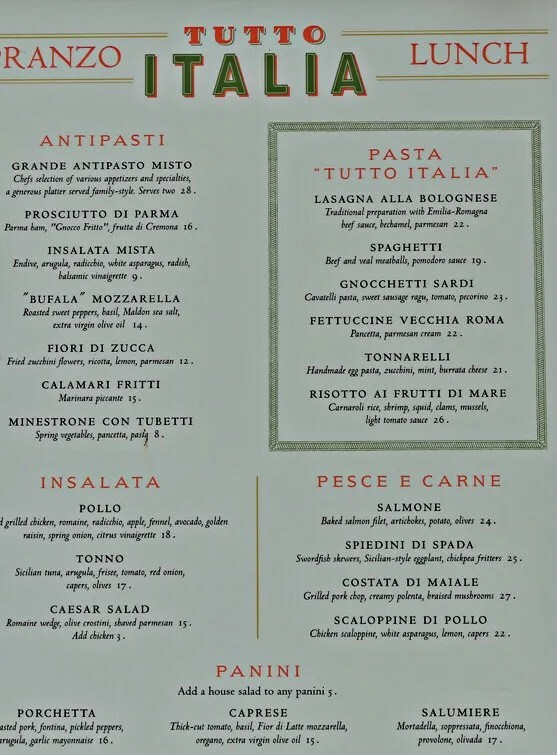 Even though we had a similar “Good, but nothing special” experience for our first visit to Il Mulino, I would have to say that we are more likely to give it another try sometime (and order different entrees) if we are wanting Italian food than to return to Tutto Italia for a fourth time. Sorry Tutto Italia fans.